All of us at Rocky Mountain Chocolate Factory, Inc. are committed to making the lives of those in our community just a little sweeter. We do that best with chocolate donations to philanthropic organizations and to community events held here in Durango and in La Plata County, Colorado. We are the World's Premier Retail Chocolatier because our community supported our vision and our wonderful chocolate! Below is a list of national programs and local organizations we support as a small way to show how grateful we are for our community. If you are seeking a donation, but live outside of Durango, Colorado, please consider asking your local Rocky Mountain Chocolate Factory store. Our franchisees are your friends, neighbors and small business owners in your community. Thank you for considering Rocky Mountain Chocolate Factory. We are grateful for the opportunity to give back. We make chocolate fun and we care! If you feel you may qualify for a donation click HERE. As an active supporter of our armed forces worldwide, we want to show them our appreciation. Beginning each year in July, our participating stores donate one pound of fudge for each pound sold in the store or online during the month. The fudge is donated to military-support, non-profit organizations that provide care packages to our troops deployed overseas. Our stores donate to both local organizations in their hometowns and the national organizations. Thank you for your support in bringing a sweet slice of home to our men and women in uniform. During the month of July, visit a participating Rocky Mountain Chocolate Factory store and purchase fudge, or purchase fudge from our website, and we will match your purchase, pound for pound, to donate to care packages. At human-I-T the mission is simple; transform unwanted or inoperative technology into operational and educational tools for the millions in need. Striving to go beyond recycling by taking a progressive approach to E-waste management, vocational training and the Digital Divide. human-I-T is about helping our organization become a leader in the way E-waste is managed. Sending technology to recyclers to be shredded or shipped overseas is no longer enough. human-I-T gives us the opportunity to make a difference in our community by donating unwanted technology so it may be reused by others. 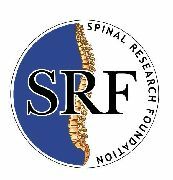 Established in 2002 and headquartered in Reston, VA, the Spinal Research Foundation is a patient-focused, 501(c)(3) non-profit organization dedicated to driving the transformation of spinal health care through research, education and patient advocacy for the millions of people suffering from neck and back pain. SRF's nationwide research partners have pioneered non-operative treatments, genetic engineering in spinal surgery, artificial disk replacement and minimally invasive spinal surgery to name just a few. SRF is empowering those suffering from spinal pain and disorders with knowledge and hope. The Spinal Research Foundation's "We've Got Your Back" Race for Spinal Health is the only race/walk event designed to raise funds for research in spinal disorders and celebrate the accomplishments of Spinal Champions - those who have overcome back or neck pain through non-surgical and surgical treatments. Here in Durango we celebrate our "Dolce Vita" in a BIG way - Big to the tune of 8,000 pounds of chocolate or more all in one room, all on sale! Our annual Fall Bloomer Sale is the highlight of the season. Each year, we donate a portion of the proceeds to three wonderful community organizations: United Way of Southwest Colorado, Southwest Colorado Division of Volunteers of America and DeColores Civitan, Durango's local chapter of Civitan International. We are honored to support these groups and are grateful for their tremendous impact on our local community. DeColores Civitan Club, a Durango service club chartered in 1989, is a member of Civitan International. The mission of Civitan worlwide is to serve individual and community needs with an emphasis on helping people with developmental disabilities. Locally, members of DeColores Civitan volunteer for many non-profit organizations, such as Big Brothers, Big Sisters, and Relay for Life. Their motto is "Builders of Good Citizenship." Volunteers of American is a non-profit human service organization that has been offering essential human services in Colorado since 1896. The Volunteers of America Southwest Safehouse, Durango Community Shelter and Veterans Services provide essential support to children, women and men, serving an average of 750 people each year. The success of these programs depends on a very generous community, with private donors providing over 50% of the funding needed on a yearly basis. In its 40 year history of service to Southwest Colorado, United Way has found that when people join together for the common good things change for the better. Through its annual Community Investment process, United Way is partnered with over 50 agencies across the region that are addressing barriers that families and individuals face that prevent them from thriving. 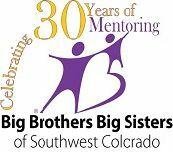 For 30 years Big Brothers Big Sisters of Southwest Colorado has provided children facing adversity with strong, enduring 1-to-1 relationships that change their lives for the better, forever. They work to accomplish this vision through professionally supported, community-based mentoring programs and our innovative school-based mentoring initiatives. Click here for more information about Big Brothers Big Sisters of Southwest Colorado. The Boys and Girls Club is a fun, safe place where kids are surrounded by positive role models and participate in programs to help them build good character, achieve academic success and live healthy lifestyles. The Club serves over 800 community youth each year through after school and summer programs, as well as outreach at schools and community events. Manna served over 69,000 meals in 2013. Everyone who walks through it's door is welcome to a meal. In addition, people are able to take showers, do their laundry and obtain vouchers for bus passes, food vouchers, prescriptions, tooth extractions and gas vouchers. Manna is also creating a program to construct a tangible path for their clients to have increased stability and self-sufficiency. For the past 27 years, Music in the Mountains has produced an exceptional summer music festival with musicians of the highest caliber. We have entertained, educated and delighted audiences with the richness of classical music, and complemented concerts with year-round educational programs for youth. Music in the Mountains is proud to provide cultural opportunities that enhance the quality of life in the community and provide a positive economic impact. Click here for more information about Music in the Mountains. The Adaptive Sports Association (ASA) is a non-profit organization committed to its mission to provide outdoor, sport and recreational experiences for people with disabilities. Thes activities are provided regardless of individual financial limitations and create an atmosphere for learning and enhancing self-esteem. ASA is in its 30th year of programming for the disabled community. 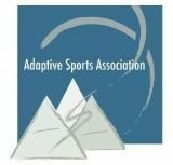 Click here for more information about the Adaptive Sports Association. The Durango Arts Center provides Durango and surrounding communities opportunities to create, to promote and to participate in diverse arts experiences. The DAC brings people together to explore and engage in arts and culture by fostering creative expression through in-house exhibitions, performances and educational programs for all ages and abilities. Making art happen. Supporting creative dialogue. Enriching lives. 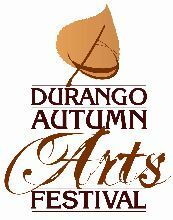 Click here for more information about the Durango Arts Center Autumn Arts Festival. Trails 2000 is your local trails non profit connecting you to the outdoors. They plan, build and maintain trails, educate trail users and encourage connectivity on road, path and trail. They care for all types of trails: hike, bike or horse and they encourage everyone to join in. The reasons they value trails so much are fundamental: the outdoors, Mother Nature, health, pleasant weather, spectacular landscapes, fitness, fresh air and open space. They cherish our surroundings and value time outdoors and believe that trails are our essentials pathways to and through the outdoors. Click here for more information about Trails 2000.